The course aims to emphasize the importance of those cultural roots, which have brought together various people and civilizations, and have come to represent a funding element of Europe. The course introduces participants to the Roman civilization and culture by stressing its crucial influence on the subsequent development of the European states. 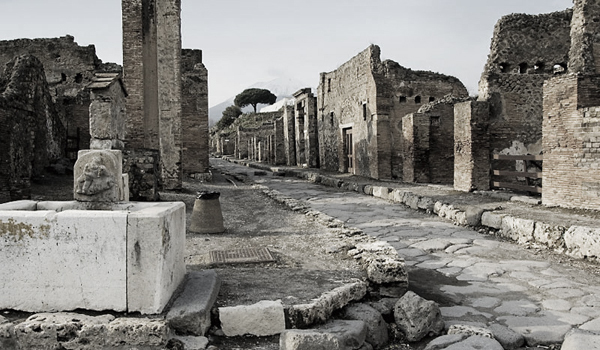 The archaeological sites of the Vesuvian area (Pompeii, Herculaneum and Stabiae – among the most visited in the world) and various aspect of Roman culture (architecture, cooking, fashion and beauty, music) will be investigated. This experience will allow participants to learn more about their roots, while understanding the theory and the practice of the archaeological field. It will also help them form a more comprehensive view on the world they live in, and appreciate Italy in its historical context. Participants will take away all they have learned from this course, and find it relevant in many aspects of their lives outside of Italy. 6. to introduce participants to the history, folklore, culture, linguistics, art, architecture, archaeology in Italy that has been influenced by the Romans. The methodology is based on both theory and practice. Rather, the theory will offer participants the tools they need to build a strong understanding of sites and their history once they are there. The project is based on learning and experiencing on site, involving participants in workshops and visits around the region Campania with skilled guides and experts in the field, in addition to lectures and classroom sessions. Manuals with learning activities to complete will be provided. The lectures, lead by qualified archaeologists, will focus on significant and prominent aspects of Roman culture and civilization. 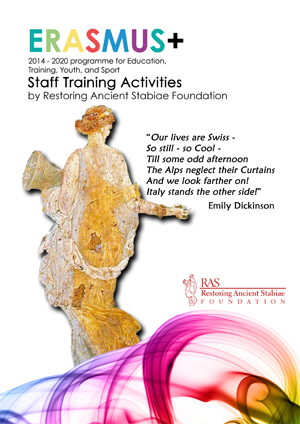 Participants will make themselves familiar with the Roman culture and its history in a fun and enjoyable environment. By learning about this ancient society and by getting to know the aspects of its daily life, participants will become engaged and interested. This methodology allows for participants to connect their lives with the culture of ancient civilizations, and come away with a better understanding and appreciation for both the Roman and the European culture, history and society. This will be a very-much outdoor based course as the participants will be visiting various sites. Highly qualified guides and trainers will ensure an easy approach to art, maintaining, at the same time, a high level of education. The course will be based on the balance between theory and shared experience, and on the participants´ active contribution to discussed subjects and themes.